The Rematch table is a table brought to you by the Harvard manufacturer and is priced at the lower-end of their product line. 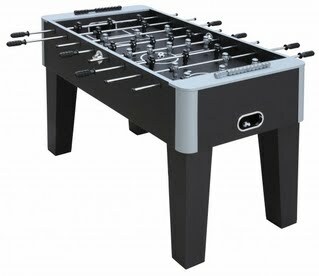 This table is perfect for the younger foosball audience who are using the table to play and learn the basics of the game. This Harvard Rematch table is not a table to learn how to play professional tournament foosball on, but it does work for kids who want to have a table in their game room.